Well, your wait is almost over! The almost complete DVD was shown at the Council Dinner in Salt Lake City last weekend. “Agenda 21: How Will It Affect You?” received nothing but great reviews and attendees at the dinner couldn’t be more excited to see it. Explore the agenda environmentalists have in store for you and your family. This 20 minute DVD offers a great introduction to Agenda 21 using the words and actions of those who are promoting this agenda. Use this DVD to help educate new audiences and to generate interest in the “Choose Freedom, Stop Agenda 21” action project. The DVD will be available for purchase in roughly three to four weeks! 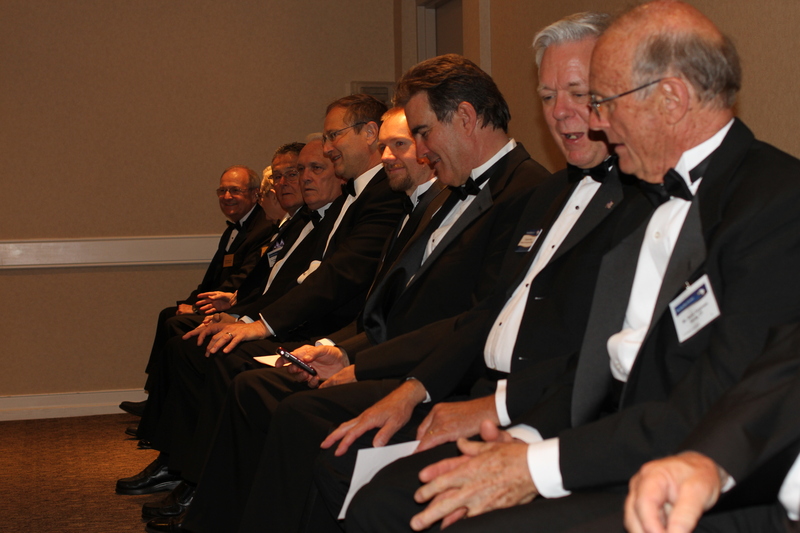 The JBS Spring 2012 Council Dinner was held in Salt Lake City this past Saturday. It gave members and supporters the opportunity to attend educational seminars during the day and listen to keynote speakers during the dinner. For the afternoon sessions, JBS President John McManus gave an update to his popular Dollars & $ense presentation. Utah State Representative Christopher Herrod offered a truthful look at immigration. JBS Council Member Darr Moon presented an insight into the federal government’s war on our natural resources. The New American (TNA) Contributor Joe Wolverton discussed the details of the National Defense Authorization Act, and JBS National Director of Field Activities Jim Fitzgerald gave an in-depth look at why its important to support your local police. At the evening Council Dinner, American Policy Center President Tom DeWeese gave a rousing speech on the successes of anti-Agenda 21 efforts across the country, which the JBS is an integral partner. JBS CEO Arthur Thompson paralleled winning an election with successful organizing in his speech. JBS COO Clark Curry joined the Executive Committee of the JBS Council. He was then voted Chairman of the Committee. We thank former Chairman Art Crino for his many wonderful years of active leadership on the Committee. Mr. Crino will still remain on the Council. JBS welcomed two new members to the Council, Darr Moon and Don Griffin. If you missed this Council Dinner, join us in Houston, Texas for the fall Council Dinner on October 20. We would like to thank everyone who participated and to all those who support JBS! We’re pleased to announce that JBS.org has won a Spotlight Award from the organizers of the Content Management Systems (CMS) Expo, held last week in Evanston, Ill. The Spotlight Awards showcase the best CMS sites and applications on the web. JBS.org won the 2011 Best Joomla CMS Site for Non-Profit. Savvy Panda, our vendor who we worked closely with to create the site, informed us of this yesterday. Thanks to all who helped make this possible! We look forward to continuing to make this site and all of our sites cutting edge tools in our drive to recruit and activate volunteer leaders. Also if you haven’t taken a look at The New American’s new site, take a look now! It’s our newest project!